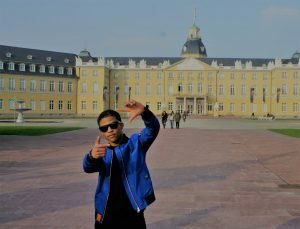 Former awarenet learner and intern Mcvay Boko just returned from an exciting year as a volunteer in Germany! 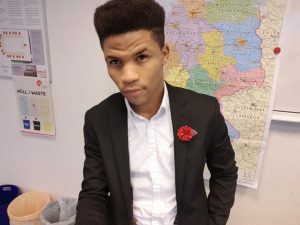 It has been a long journey with awarenet for Mcvay who first joined our program as a high school learner in 2009 and through his internship from 2015-17 received the opportunity to volunteer in Germany in 2017 for a whole year with SageNet (South African German Network). Mcvay worked in Bremen in a “Jugendherberge“, a German hostel for youth, where he experienced a lot about life, work and other aspects of German society. I had the chance to speak to him about these experiences and it was a pleasure to do so! Mcvay told me that the flight to Germany was his first flight ever, therefore he was really nervous about the trip. Everything worked out well though and he arrived safely in Germany. To go from the airport he had to travel with „Deutsche Bahn – DB“, the national German train company, and it surprised him it was not on time. He didn’t then know that it’s a kind of joke in Germany that the DB is not on time. He felt that was a little bit strange as he later experienced that Germans in general are among the most punctual people he has ever met. Nobody in Germany ever arrives late, he said. It was very difficult for him to be on time in general because South Africans have a more lax attitude to time than Germans. Until the end of his stay in Germany he had problems with being punctual, however now being back in South Africa he has become more German, finally embracing punctuality. Another experience he told me about was the German language. The volunteers had one week of language training before they went to Germany and it was really difficult to grasp much of it in such a short time. When he arrived in Germany he felt the language he heard was completely different from what they learned in their course in South Africa. It´s a little bit like learning English in school and then encountering real English-speaking people speaking English very differently from your teacher. The security situation was also different in Germany. He experienced that he could walk trough the street the whole night without problems. In the beginning though he was also afraid that something could happen to him. He was slightly afraid when waiting for the bus or the tram. However, he told me that he was surprised when he once lost something in the tram but got it back. He never knew there was such a thing as a “lost and found“ system where you can go to an office and query whether they have found what you lost. In general he told me he feels the public transport system works very well in Germany. During his time in Germany Mcvay also had some typical German winter experiences. 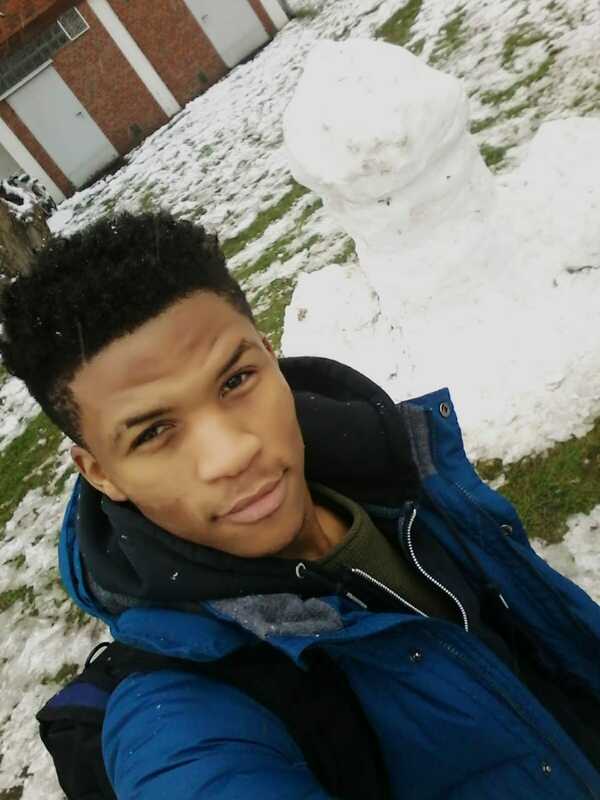 He saw his first snow ever and built his first snowman. He also joined his colleagues in visiting a traditional German Christmas market. He was very excited about these Christmas traditions and had great fun at the Christmas market. His work in Germany was otherwise very different from the work he did with awarenet. In Germany he did not really work with computers as by awarenet but helped prepare rooms for seminars, worked in the hostel’s bistro and also helped in the kitchen. He also was given the special job to work as a DJ on New Year’s Eve which he found great. What he missed in his work in Germany which he had while working with awarenet was the opportunity to work directly with children and feel he was giving something back to the community. After a whole year in Germany Mcvay thinks he has changed and developed a lot as a person. He takes some things with him from Germany like the German language. I also spoke German with him and it was really impressing what he learned in only a year! He has also taken the German culture of punctuality back to him to South Africa. He is very proud of it as it was really difficult for him to learn that, now back in South Africa he is Mr Punctual.. He concluded our talk by telling me that after his year in Germany he has realised that you can always contribute in life no matter where you come from. Coming from South Africa is not a disadvantage, if you just try you can do anything. This entry was posted in awarenet projects, Joza Youth Hub, Our organisation, Uncategorized, volunteers and tagged awarenet, Bremen, Community, Germany, Grahamstown, ICT education, international, Joza Youth Hub, South Africa, Volunteer, VSA, weltwaerts. Bookmark the permalink.